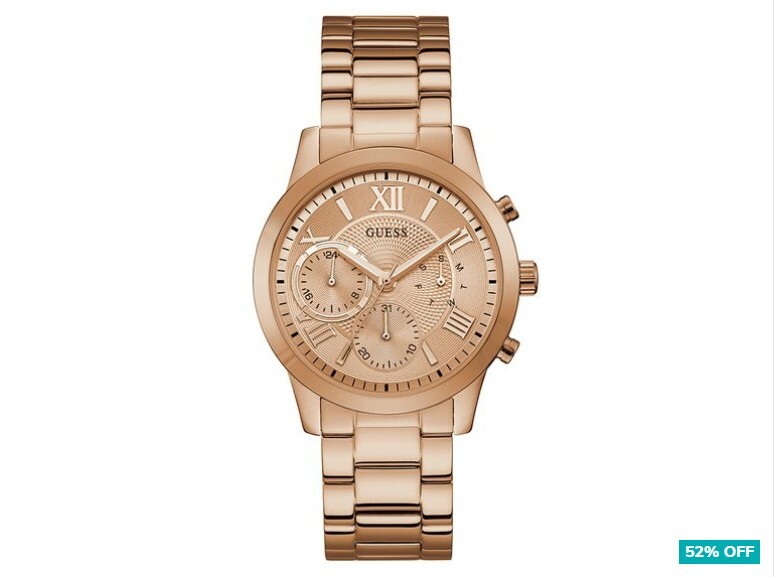 For the girl who loves a bit of sparkle, this elegantly crafted timepiece is all that and more. This stunning rose gold watch features Roman numeral indices, classic 3-hand movement, and 24-hour and month subdials, all set on a gorgeous stainless steel bracelet band. A fantastic addition to any ensemble.